Grosgrain ribbon is ribbed in appearance. It is a fairly stiff, plain weave corded fabric. 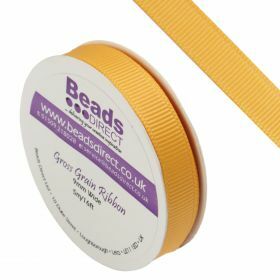 Grosgrain ribbon has no shine or lustre, it is quite matt in appearance and is very strong. 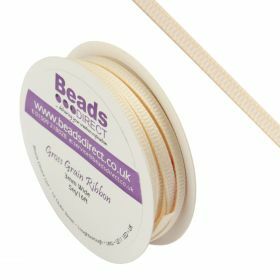 This makes grosgrain ideal for jewellery projects needing a strong ribbon with a bold colouring. 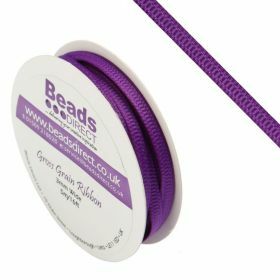 We have grosgrain ribbon available in three different sizes; 3mm, 9mm and 19mm and there are 10 different colours to choose from.